Filko Prugo, MS, JD, is a first-chair litigator and USPTO-registered patent attorney. Over the past 20 years, he has been extensively involved in all aspects of contested patent matters. 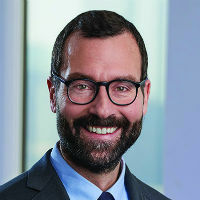 He is one of a handful of attorneys who has argued before the PTAB in inter partes review trial proceedings, tried federal district court Hatch-Waxman cases, and argued before the Federal Circuit. Prugo is a frequent speaker on developments in patent law and has been recognised for his excellence in patent litigation by Legal 500, and as a leading life sciences lawyer by LMG Life Sciences.